Thoughtfully designed city edge townhouse offering panoramic views, and excellent rental returns. 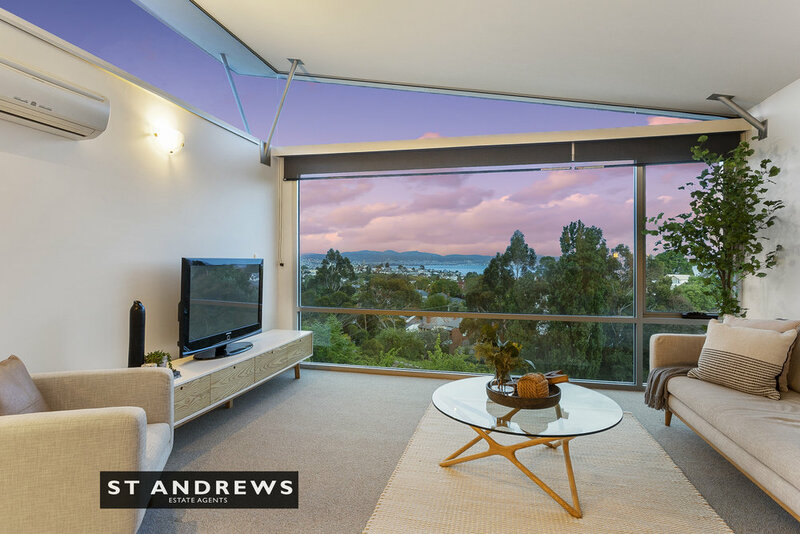 Located on the edge of the city, a stroll from South Hobart Village, this 82 square metre one bedroom plus study townhouse is poised on the cliff top with never to be built out sweeping panoramic water views over Sandy Bay, the unique floating roof capturing the Hobart sun. Offered to market for the first time since it was built, Chagoir is near the end of the boutique Edgeview Terrace complex, one of only six. The lower level contains a sleek designer bathroom plus a huge space with a sliding glass wall - use this wall to create two spaces or enjoy one gigantic room. This area is enhanced by breathtaking vistas over the Eastern shore, BIR and a second private courtyard. The entrance is via a secure private courtyard on the upper level directly into an open plan kitchen / dining / living area. A sleek modern kitchen with stone bench tops, double drawer dishwasher and gas cooking. The kitchen is tiled and the lounge has brand new woollen carpet. A European laundry is tucked at the top of the stairs equipped with washing machine and dryer. 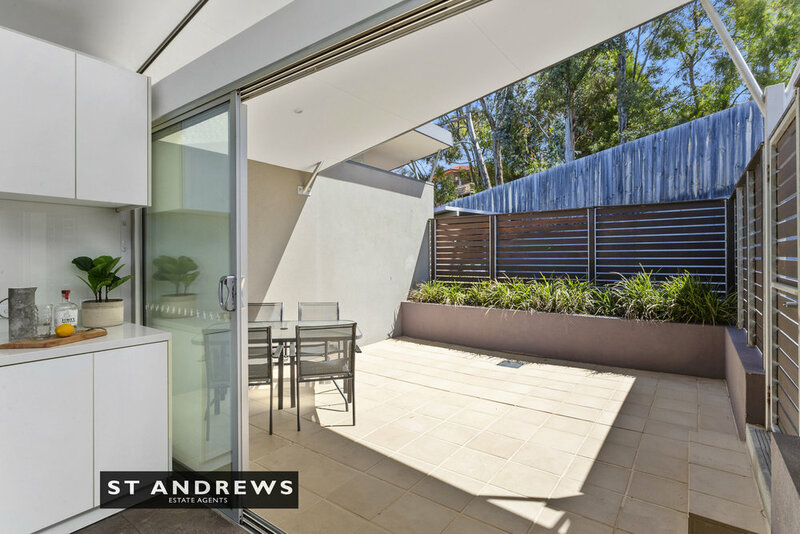 Large sliding panels open the kitchen area to the courtyard which enjoys a sheltered position capturing the warm afternoon sun with views across the living space and beyond. Under cover parking is adjacent to the courtyard. Instant endless hot water, NBN enabled, double glazing, air conditioning, and an abundance of smart designer touches. 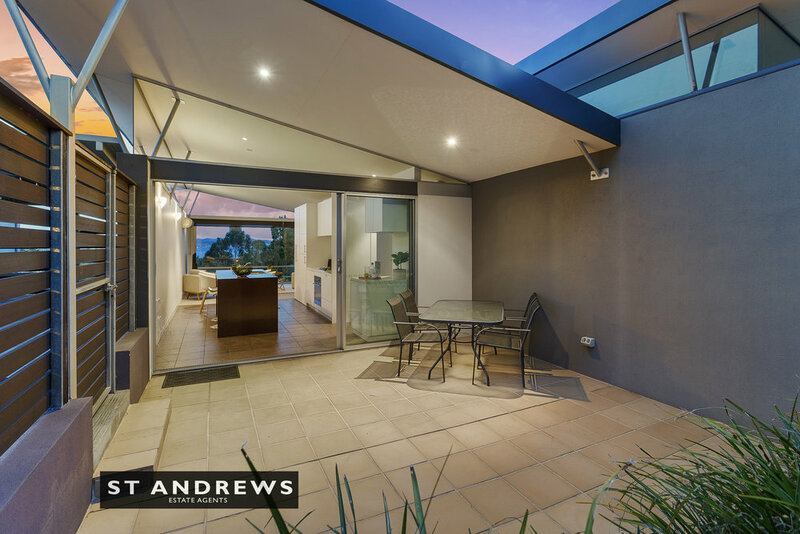 This is a property that will appeal to owner occupiers and investors alike. 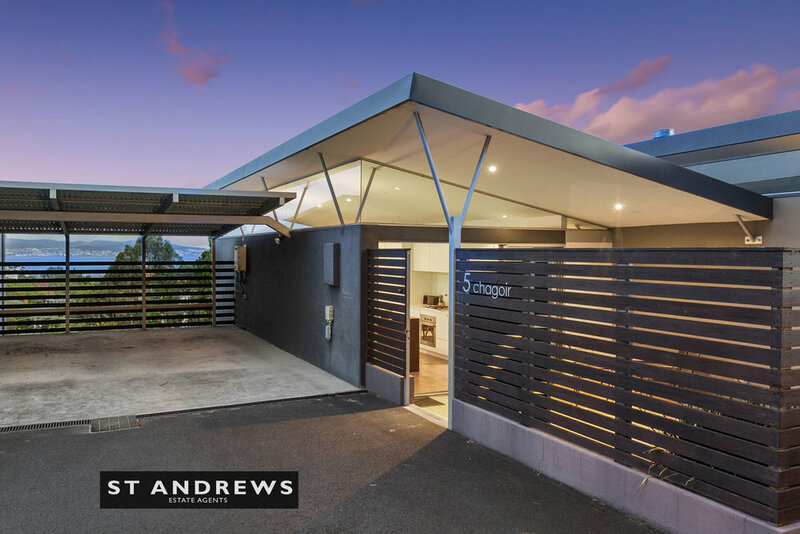 Ideal for owner occupiers wanting a compact and low-maintenance architect designed residence close to all the action or those wanting to capitalise upon Hobart’s booming rental market. Prior to being offered to market, the property was rented at $550 per week long lease furnished. Positioned in one of Hobart’s pre-eminent inner suburbs, this property is perfectly positioned to take advantage of this sought-after location being within walking distance to the city, local schools, local reserves, walking trails and vibrant South Hobart village, home to Hill Street Grocer and wonderful cafes.